Tesla Motors is the company that looks at the future very closely, and it is one of the leaders when it comes to the electric vehicles. There are several vehicles designed so far, and company slowly fills up its lineup. 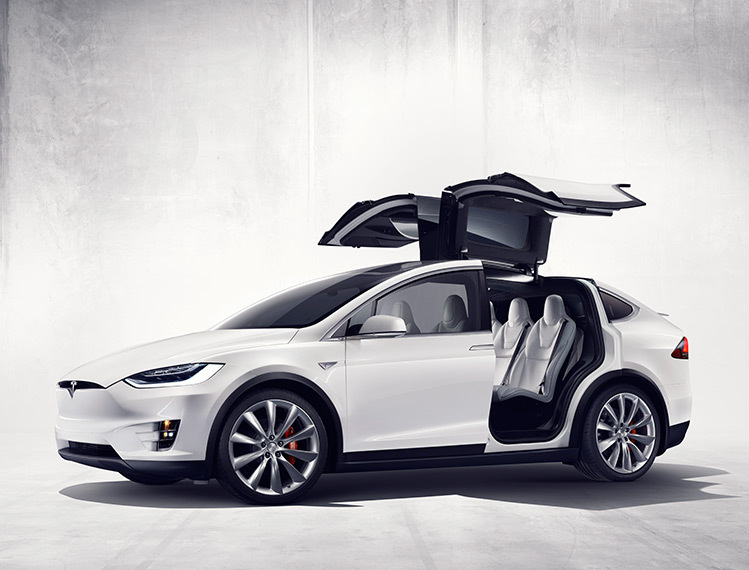 One of the newest models is called Model X, which is a full-size luxury crossover. This is definitely the greenest crossover in the world, which will be able to carry seven passenger, with the highest possible level of comfort. New crossover was launched just recently as 2016 year model, and according to some reports, already 2017 Tesla Model X will come with some modifications, which will make this car even better. The 2017 Tesla Model X will come in the second year of production of this full-size luxury crossover. This car comes related to full-size sedan called Model S, which was released some time earlier. This crossover offers you not only an environment-friendly drive, but also excellent design, high level of comfort and luxury, great performances and more. When it comes to exterior look, new crossover have many similarities with Model S, but also features many unique details. 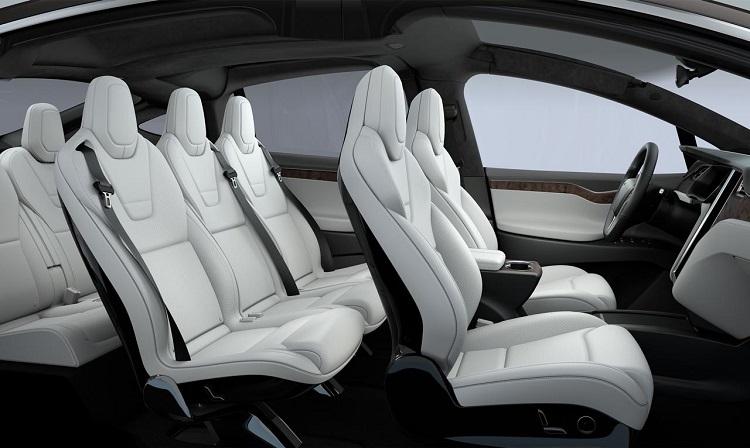 One of the most notable characteristics for 2017 Tesla Model X will be a recognizable falcon-wing doors, and also a huge, helicopter-like, panoramic windshield, which will provide much more sky and other ambient light in the cabin. When we are about cabin, new crossover will feature three rows of seats, with capacity for seven passengers. When it is about drivetrain, 2017 Tesla Model X comes in two variants. The first one is called 90D. This variant comes equipped with 90 kWh lithium-ion battery, and provides huge amount of power. It is enough for a quick sprint from zero to sixty of only 4.8 seconds. Second variant called P90D is even more performance-oriented. This model delivers around 260 horses at the front and 500 at the rear. It is enough for magnificent sprint of only 3.2 seconds to 60 mph. Both variants have max range of around 250 miles. However, it is expected that further developments will provide even better solutions and longer range. It will make this model capable even for longer routes. For now, if you decide to go with 2017 Model X on some long journeys, you must carefully plan your charging cycles. 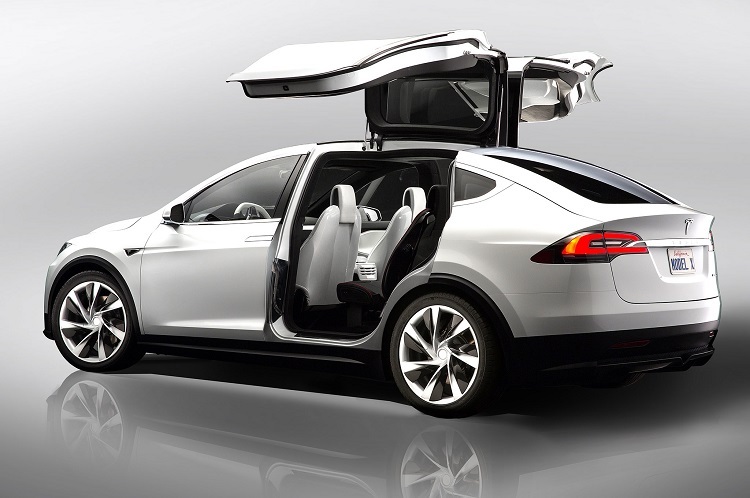 It is expected that 2017 Tesla Model X will come later this year. When it is about price, 90D model will cost around 132.000. The P90D will cost around 10.000 dollars more.